Recycled magazine bowls basket, "old red" unikat, eco friendly, recycling, interior decor, 1st anniversary gift fantasmaniaxx AU$ 75.77... What others are saying "Recycled magazine bowl Looks waaaay to hard for me to make, but is so cool! Hmmm, maybe I'll try it." 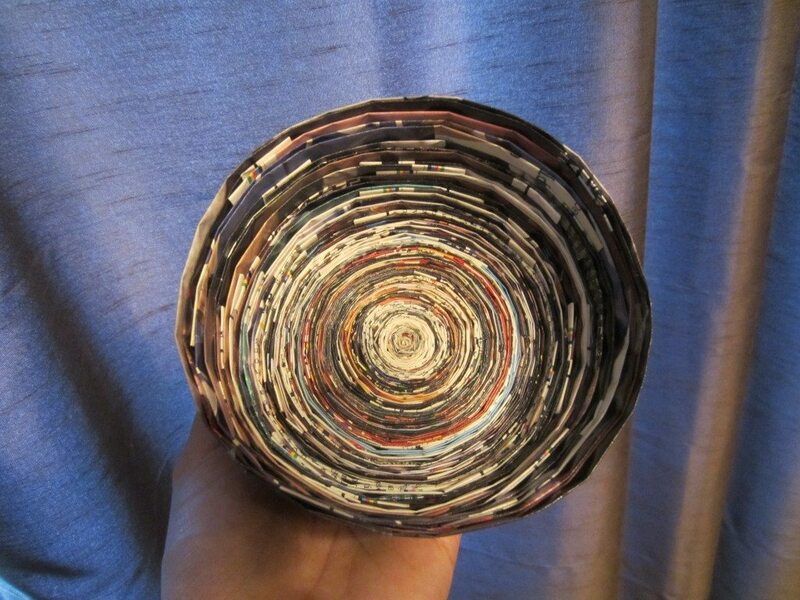 "UPcycled Magazine Bowl from savedbylovecreations"
Fold each magazine page's bottom triangle upwards so you can make the bottom of your tree flat. Next, fold the top of all the pages down so you can form the shape of a tree. Next, fold the top of all the pages down so you can form the shape of a tree. For DIY home decor that you'll adore, try your hand at this Recycled Magazine Bowl. 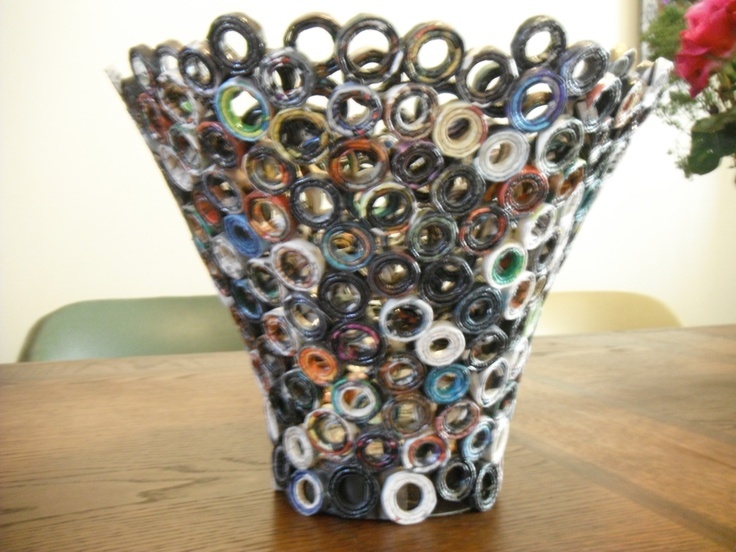 This bowl is made out of recycled magazine strips, making it a must-add to your Earth Day activities list.